Here at Quiz Coconut we love entertaining and when that’s coupled with raising money for good causes, it’s even better! Non-profits, schools, churches, charities, disaster relief causes… A professional trivia event will bring people together, they can have fun and pay money to be part of it. We’ve helped to put on events for charities such as Macmillan, Alzheimers, and Teenage Cancer Trust. Significant money can be raised through entry fees, plus additional elements such as raffles and 50/50 draws. We have lots of ideas how to make your charity event a success, from our experience in hosting crowds of all shapes and sizes. How about on-the-spot fines for blatant cell phone usage? We can enforce this! With a professional quiz company, and a top quality service, clients will be prepared to spend to enter, which will more than cover our fees. Recently we went to Thunder Bay to host an event for Lakehead Express Soccer Club who were raising money for their facility after it was devastated by a storm, affecting hundreds of children who play there regularly. They brought in five times the cost of the event (including flights), before counting extras from the raffles. It was considered a big success and I am delighted to be going back there again in November this year! You can be part of a charity event at the Stone Lion pub in the Beaches in Toronto on Tuesday 3rd October. To help those reeling in the aftermath of the hurricanes in the Caribbean, all proceeds from this trivia night will go to an appeal. I hope to update you soon on the amount we raised! 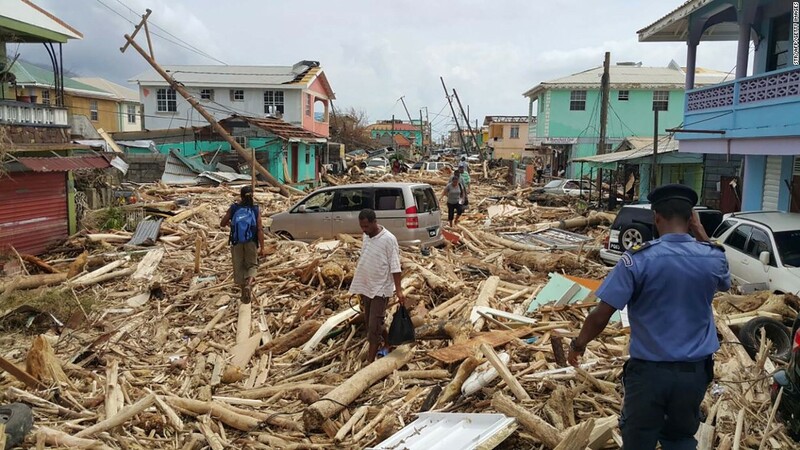 Dominica is close to our hearts and so our efforts will be focused there: Al Jazeera Update. At least 80 percent of the buildings there have been damaged and most communication lines cut. The people of this island nation of 71,000 are desperate, and some are still in shock. Get in touch for more info, james@quizcoconut.ca or visit the contact page.